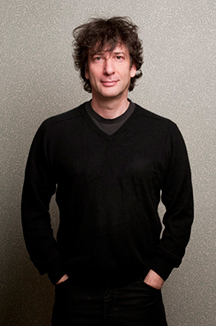 Award-winning author Neil Gaiman will read his new, not-yet-published story on Wednesday, September 5, at 6 pm in the Fisher Center’s Sosnoff Theater. The reading is free and open to the public and seating is on a first-come, first-served basis. The concert by Amanda Palmer will immediately follow in Theater Two. Neil Gaiman is an internationally acclaimed author of more than 20 novels including Stardust, American Gods, Coraline, and The Graveyard Book, as well as the comic book series The Sandman, and is a prolific creator of works of poetry, film, journalism, comics, song lyrics, and drama.